America’s favorite holiday, Super Bowl Sunday, is rearing its head soon. For some, this is a lively time with friends and their favorite sport. For others, a wave of dread creeps as the weekend inches closer. 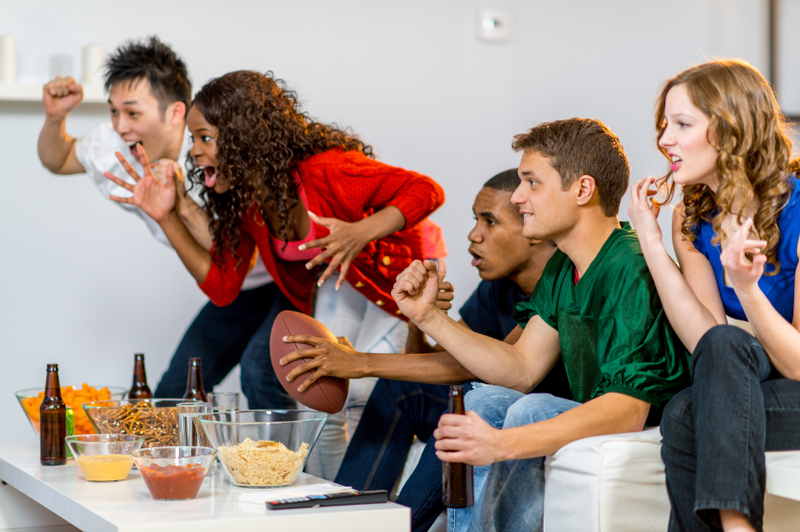 For those less athletically inclined that are attending a Super Bowl party, don’t fret! Here is a Gridiron Glossary, a few key terms to help understand the basics of football before you drink yourself unconscious out of sheer boredom. The line of scrimmage is defined at the start of each play. This is done by placing the ball on the turf between the defensive and offensive lines. A down happens when a play begins with a snap or kick and ends when the ball carrier is tackled. It can also end when the ball is out of play or a team scores. A team begins at 10 yards and must advance at least 10 yards in a sequence of four downs to keep possession of the ball. A blitz is when the defensive line sends extra players in to get the quarterback of the opposing team just after the ball is snapped. This term has an interesting military origin. It was created in World War II when German planes waged a Blitzkrieg, or lightning war, against London. The red zone is the space on the football field between a team’s 20-yard line and the goal-line. Once the teams reach the red zone, the offensive team switches from the goal of taking the ball downfield to scoring a touchdown, worth six points. Afterwards, there is a chance of a “point after touchdown” worth a single point. A post pattern is a deep passing route. Here the receiver heads for the post, or goal post, running toward the end zone, to receive a long pass. In the past, players used to run into the goal post when it was stationed on the goal line. Although the post was padded and seeing this take place was comical, it can still have negative effects on the players, leading to Chronic Traumatic Encephalopathy, or CTE. While there is much more to know about America’s unofficial National pastime, this list should have you covered for a weekend of sports and alcohol. If all else fails, just clap and groan in unison with your friends and hope nobody notices that you would rather be anywhere else.